Вартість: 10200 грн. + розтаможка 3600 грн. Product Details Fix2:: Memory card required, no internal memory. Surfing - diving - hiking - climbing - gliding - biking - skiing - Whatever your next adventure may be and wherever it may take you, the new, rugged GoPro HERO5 Black action camera is ready for the challenge, recording 4K videos and 12MP photos along the way. 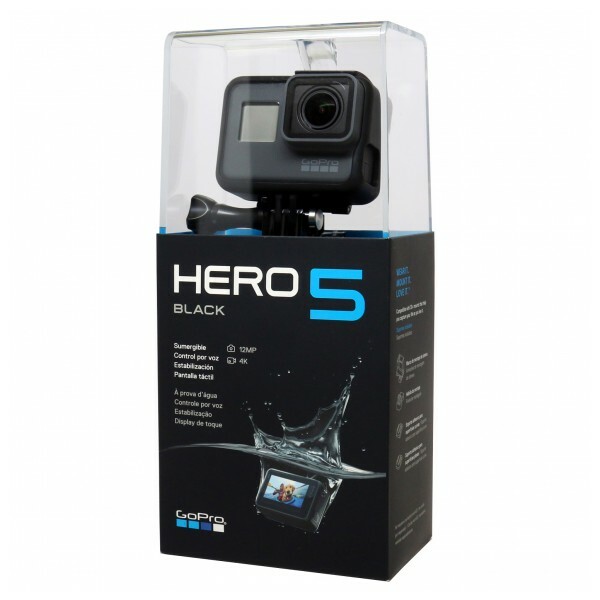 The sealed rubberized chassis allows the HERO5 Black to be taken to depths of 33' without the need for an external housing! So, wherever it is that your escapades take you, the HERO5 is ready for recording at the click of a single button. The rear touchscreen enables playback and even editing of your footage right on the camera, for a complete user experience. The front screen combined with the top and side buttons offer a more traditional one-button control experience. Hands-free control is also possible using the built-in Voice Control feature. Speaking simple voice commands can control various functions inside the camera, including start/stop video recording, photo burst, and more. With GoPro HERO5, it is also important to mention the mounting possibilities available through the included accessories. 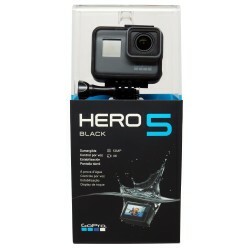 The Frame is included with the HERO5 Black. Not only does it add an extra layer of protection, it provides an interface to the world of 3-prong accessories. To get you started, a mounting buckle quick-release for The Frame and two adhesive mounts (one curved and one straight) with quick-releases are included. Unless otherwise specified, all products we sell are brand new; however, we are not affiliated with the manufacturers and are not what manufacturers refer to as authorized dealer or authorized reseller, or similar names. Nor do we claim to be one. Therefore, we can also offer you, the consumer, a lower price as we do not have to adhere to MAP (Minimum Advertised Price). We carry both USA as well as imported products, and we give clear indication of the item we sell under eBay's item specifics - If you navigate to the top of the ebay listing page, towards the tabs stating description and shipping/payment you will find a title named "Item Specifics"; under this title ebay & sellers try to give as detailed information about the product as possible. If you find a statement there stating that the item is directly imported by seller or that it is an "Import Model," it means that the item may have been imported by us and that it may or may not have been originally intended for sale in the U.S. 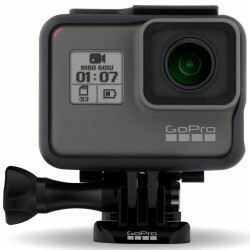 Direct imported GoPro (AKA international version): In any case - all of the original accessories provided in the manufacturer box are original GoPro accessories. International versions of a product may differ from domestic versions in certain ways including, without limitation, their packaging (which may include important product information), printed manual, and manufacturer warranty. The product may or may not include the original manual, but access to an English product manual is available via the internet. Import items may not be eligible for a manufacturer warranty in the USA. Import models may not be eligible for services from the manufacturer or its affiliates. For example, because UPC or other tracking codes may differ from U.S. versions, you may not be notified of or eligible for any product recalls, upgrades, or rebates, and you may not receive other notifications. 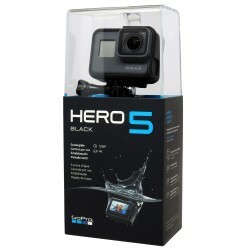 Warranty information: Direct Import GoPro may not be eligible for a GoPro USA manufacturer warranty. However - you are covered for any defective item received, and also protected by our 30 days, easy return policy. Portable shockproof case with handle. Handlebar seatpost and pivot arm (Fits 0.75" - 1.4" diameter tubes). Floating grip - Keeps camera floating on water. Selfie stick + Tripod mount adapter + Cell phone bracket. Car windshield suction cup mount and tripod mount adapter. Vertical surface J-hook buckle mount. Quick release buckle flat mounts. WiFi remote velcro wrist band. The buckle basic mounts are used for attaching extensions to your helmet and other gear. Use with the flat or curved surface mounts and adhesives, with straps and with extensions to achieve maximum range and shooting flexibility. The purpose of the J hook mount is to allow you to attach your GoPro action camera to the chest harness, helmet mount or suction cup. 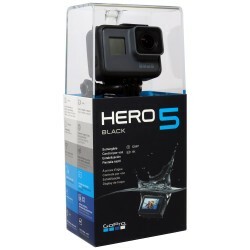 This mount is compatible with the GoPro HD Hero original Hero 2, Hero 3, 3+ and 4 Cameras. The J-Hook design make handling your camera much more convenient. The chest harness allows you to capture hands-free videos comfortably and in a more natural POV perspective. Use the harness with a buckle basic mount and J-hook buckle to fix the camera to your chest. The head strap will now allow you to capture first person footage from a headlamp-like POV perspective while your hands are free to engage in the activity. The strap is compatible with most GoPro housings/frames and is fully adjustable to fit all sizes. It fits on your head or over your helmet, and has a non-slip strip for added security. The handlebar seatpost is a tube clamp for mounting your Hero camera onto your bike's seatpost or handlebar tube as well as ski poles, kitesurfing control bars and more. The lower point of view provides intense video that will impress you and your friends. Add the three-way pivot arm to your bicycle handlebar clamp to enhance adjustability and to help achieve the perfect angle for every shot. When connected, the arm allows the camera to rotate and pivot to the desired angle shot. Extend your reach or use as a selfie stick to easily snap photos anywhere without asking strangers as well as eliminate awkward photos taken at arms length. The adaptor rotates 180 degrees, the thumb screw locks the camera in a desired position, and the item includes lanyard to keep the monopod secure. The suction cup mount features an industrial strength suction cup which allows you to attach your camera to cars, boats, motorcycles and windows. It has adjustable arms for ultra compact mounting, and provides a broad range of motion and stability. For maximum holding strength, it is advised to attach to a clean surface. The floating bobber handle functions as both a camera support handle and a flotation device designed to save your camera when dropped in water. Its bright yellow color makes the hand grip easier to spot against the water. It also includes an adjustable strap that you attach to your wrist intended to prevent it from falling off. The pivot arm allows you to attach the action camera to your knees and skis on the slopes, or your bike frame and handlebars to capture different angles. This base is perfect mount for skiing, kayaking, biking, motocross, equestrian and other action sports adjust camera to chest strap mount and gain an immersive view. The flat and curved surface mounts with the 3M adhesive pads to affix your camera to smooth surfaces such as boats, surfboards, ATVs, skateboards, and more. The mounts accept the GoPro quick release buckle and can be used with any HERO model up to and including the HERO4. The flat and curved surface adhesives allow you to fix your camera surface mounts to smooth and flat surfaces. The adhesive pads form a semi-permanent attachment that can be easily removed later on using heat from a hairdryer. Insert the anti-fog strips in to your waterproof housing to stop the case and lens from fogging up. The inserts go on the inside of the waterproof housing so no moisture can enter. The inserts are re-usable, and should be dried out after 4-5 uses. The remote strap keeps your wifi remote attached to your wrist, bike handle, steering wheel, or anywhere you can think to put it. Made of an all black, waterproof velcro, it is perfect for skiing, snowboarding, surfing, or any action sport, and is adjustable to fit around bulky coats or around your wrist comfortably. Attach your GoPro to virtually any surface. The flexible octopus tripod can bend and rotate 360° to form the perfect shape, and provide extra gripping power to most surfaces. The tripod includes rubber surfaces for traction, a quick release plate for easy switching, and holds cameras and phones weighing up to 250g. Store your camera along with all your accessories in this protective padded case. The padding includes sized slots to suit your camera, as well as needed accessories for any action shoot. Dimensions: 11.5" x 7.5" x 4". We are committed to providing service marked by high standards of honesty and integrity. We guarantee all of our products to be in the condition described upon arrival. If a product arrives and it does not match the listing, please contact us and we will replace your product or refund your purchase. If you encounter a problem with your order, please be sure to contact us so that we can take care of the issue for you. Customer satisfaction is our number one top priority. We love our customers and are eager to earn a five stars feedback for a first-rate service experience. Please note: The photographs of some accessories may not reflect the actual item shipped. At times, we may substitute accessories for similar ones of equal or greater value. Packages destined to New York are charged state tax in according to state law. We only accept PayPal for payment. Immediate payment is required for Buy it Now listings. YES! We accept PayPal payments from all countries. Please be advised that PayPal requires that we ship to the address we receive with the payment. We cannot make any change. Please make sure to choose the correct address before completing the payment. We ship worldwide, however we cannot ship to P.O. Boxes, APO/FPO addresses, and a few other exceptions. When placing an order relevant info is presented, if any. Packages above a minimal amount may be subject to signature upon delivery (in accordance with PayPal and Credit Card processor requirements). Please make arrangements accordingly. The carrier will make a total of 3 attempts to deliver and will send the package back to us if delivery is unsuccessful. If this happens, additional shipping of double the shipping cost will be charged (the cost of shipping back and forth) as well as our stated restocking fee of 10%. We cannot reroute a shipment after it has left the warehouse. Please make sure that someone is available to sign for your package. International customers are welcome! We currently offer shipping to over 100 countries, please contact us for shipping info. We are not responsible for any of these tax charges, nor can we offer any specific advice on import fees, duty, customs, VAT or taxes that you may be obligated to pay upon the arrival of your merchandise. Should you have any questions or requests for specific information regarding any of these potential charges, we advise you to consult with your local government import office. Returns and exchanges are accepted within 30 days from the day of purchase. For return authorization please send an eBay message, or email us, within this time frame to obtain a return approval (RMA number). Please note that an RMA is required for your return. Returned items are reviewed by us upon receiving them. We can only accept a return if it is returned to us in exactly the same condition as they were sent to you. All items must be in the exact same condition as we sent them and in original unopened boxes. They must include all internal packing materials, instruction manuals and all accessories. Please do not make any marking on the manufacturer box, or use it as a shipping box. eBay sales are final. A restocking fee is charged and detailed per listing, in the shipping & payment details. in In some cases shipping fees are not refundable, please check the per listing data in the shipping & payment details. Refused packages will be treated as an unauthorized return and will be charged the restocking fee + double the shipping cost (the carrier is charging us for both ways). If you have any questions about a product or about you order, please feel free to contact us. We are here to serve you!